Here's a hosta that deserves the name "August Lily". 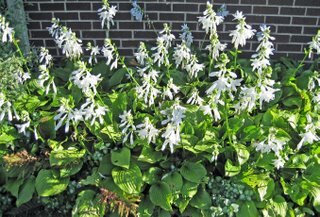 I have several different hostas in my gardens, as much as my pittance of shade and/or part sun allows. I don't think most of the hostas deserve the common name August Lily, since many of them bloom in June and July, especially the newer hybrids. But this hosta is truly an August Lily. This is an old variety with a great scent and it blooms in... August! I have no idea what variety it is, nor have I tried to figure it out. These are passalong plants. I got these from my brother and sister-in-law about 15 years ago in exchange for going with my Mom to their house to watch their kids while they went someplace. I didn't really want to go, so they bribed me by offering that I could dig these up and take what I wanted. I had admired them before, and they knew I could be "bought", that I wouldn't say no to getting a new plant. I'd revealed a weakness! So, I went, since they had offered these to me, and I dug up as many as I could and took them home. I didn't know where they got them or if they were there when they bought the house, I just knew there were going home with me. When I later moved to where I am now, this was one of the few plants I brought with me. I had to move them to another friend's house to hold them over, then dig them up again and move them to my new gardens. But it was worth it. The reason I wanted them in the first place? Because they are plants and I will take any plant? Well, partly that was the reason, but mostly because these remind me of the August Lilies that I think my grandmother grew at her house. They also have a great scent, and are reliable, easy to grow, and carefree, and a gardener just needs a few of those types of plants to balance out some of the more difficult, attention-seeking, tricky-to-grow plants that we always seem to want. I think, this is Hosta plantaguinea- it flowers in August. I have to of it, they have a smell like parfum. My hostas are passalong hostas also, I have never heard them called August Lilies, mine are scented as well and are just starting to show a bud. 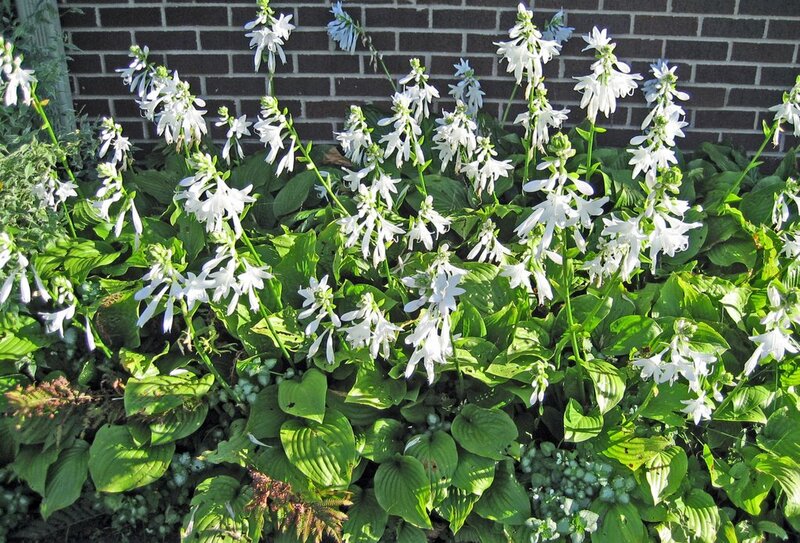 Yes, you can cut back the bloom stalks of hostas with scissors after they've bloomed. Then clear out the dead leaves in the fall. They will look much nicer if you do that. Good luck!